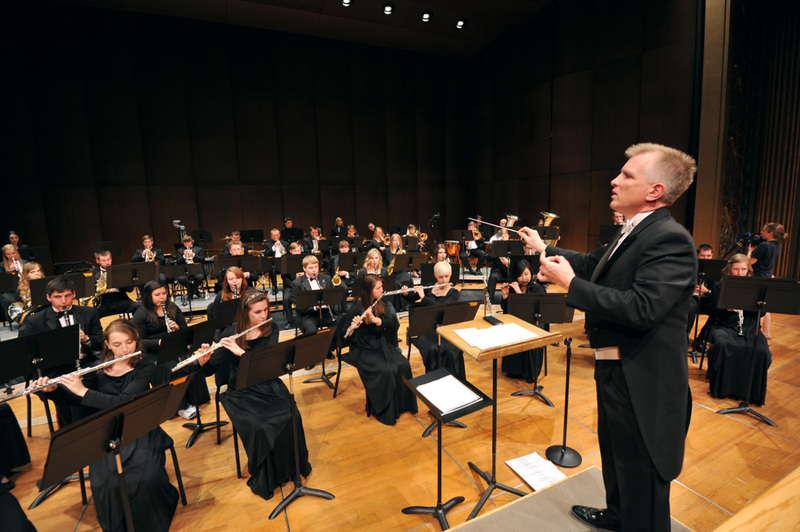 Over the university’s Spring Break, the Whitworth Wind Symphony will head across the Pacific to Thailand for a concert tour. The wind symphony, directed by Professor of Music Richard Strauch, will be performing at two of the major universities in the country, Mahidol University (Bangkok) and Payap University (Chiang Mai), and collaborating with two composers there on Thai-inspired works. In recent years, Whitworth has sent many choirs and ensembles across the globe on concert tours to such venues as Costa Rica, Argentina, Norway, Italy, and, now, Thailand. Next month, you can experience performances from them without having to go halfway around the world. Beginning in April, Whitworth will present a variety of spring concerts on campus and throughout Spokane. The concerts will feature student-musicians from the Whitworth Choir, the Whitworth Women’s Choir, the Whitworth Men’s Chorus, the Whitworth Symphony Orchestra, the Whitworth Wind Symphony, the Whitworth Concert Band, and Whitworth Jazz Ensembles I and II. For more information about Whitworth’s band and music ensembles, please visit the music department’s Ensemble page. Following are Whitworth’s upcoming music events, which are free to attend unless otherwise noted. For more information, please call 509.777.3280. April 9, 8 p.m., Martin Woldson Theater at the Fox, 1001 West Sprague Ave. Admission $7; students/seniors $5 - free to high-school and Whitworth students with valid student I.D. Tickets available at www.martinwoldsontheater.com, by calling 509.624.1200, or at the door. Admission $5; students/seniors free. Tickets available at the door. April 22, 8 p.m., Martin Woldson Theater at the Fox, 1001 West Sprague Ave. Admission $7; students/seniors $5. Tickets available at www.martinwoldsontheater.com, at 509.624.1200, or at the door. May 14, 3 p.m., Martin Woldson Theater at the Fox, 1001 West Sprague Ave. Admission $7; students/seniors $5. Tickets available at www.martinwoldsontheater.com, by calling 509.624.1200, or at the door.